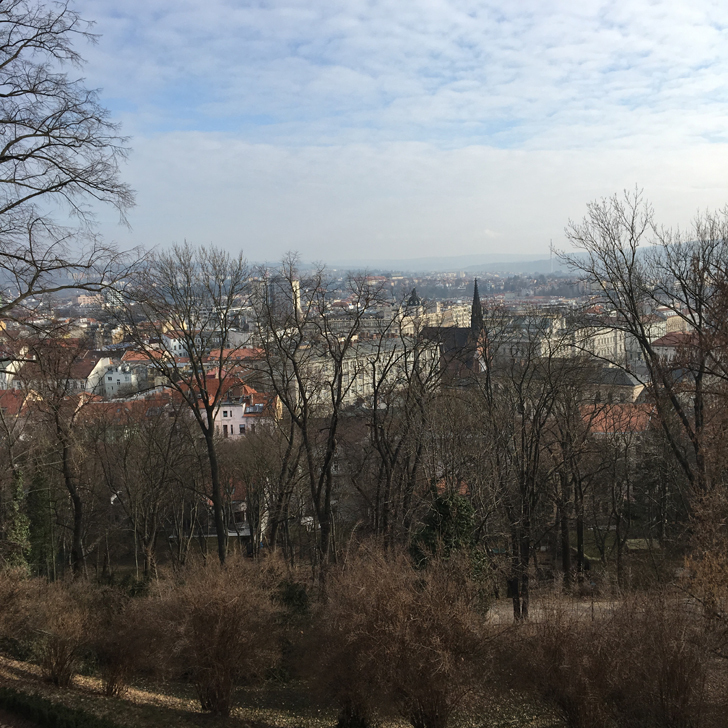 Last week’s trip had me travel to Czech Republic for a change. Not for the first time, I had been in Czech Republic a few times for work and I’ve also been to Prague for a weekend with mum two years ago. 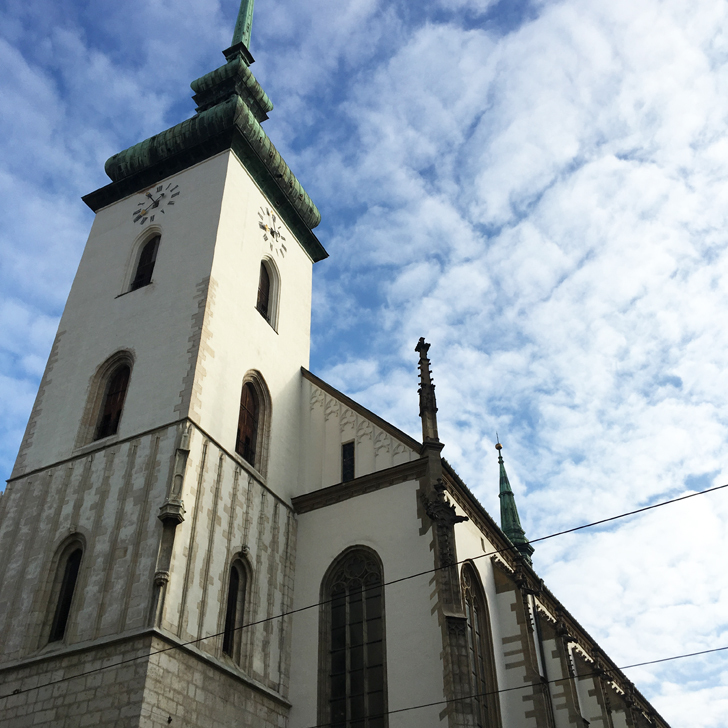 This time it was a trip to Brno. 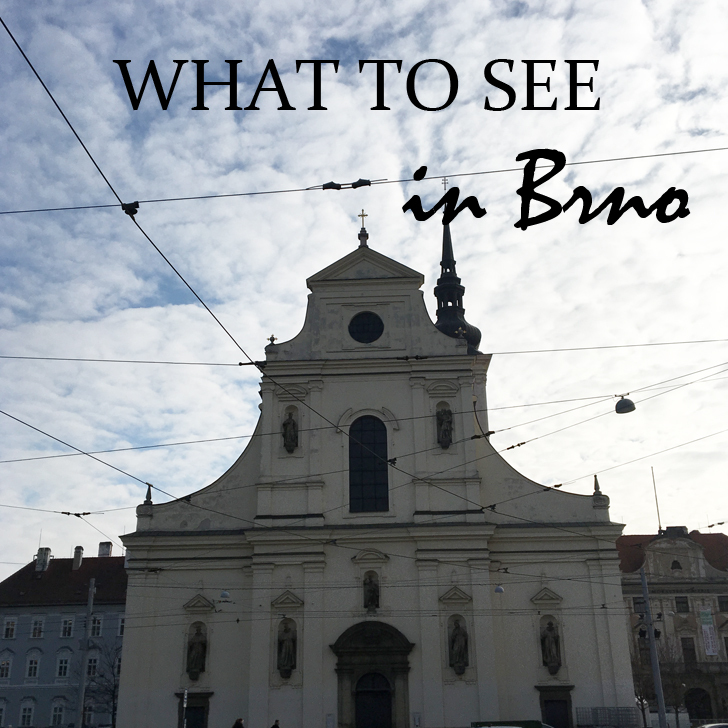 Ever wondered what are the things to see in Brno? Read on to find out. 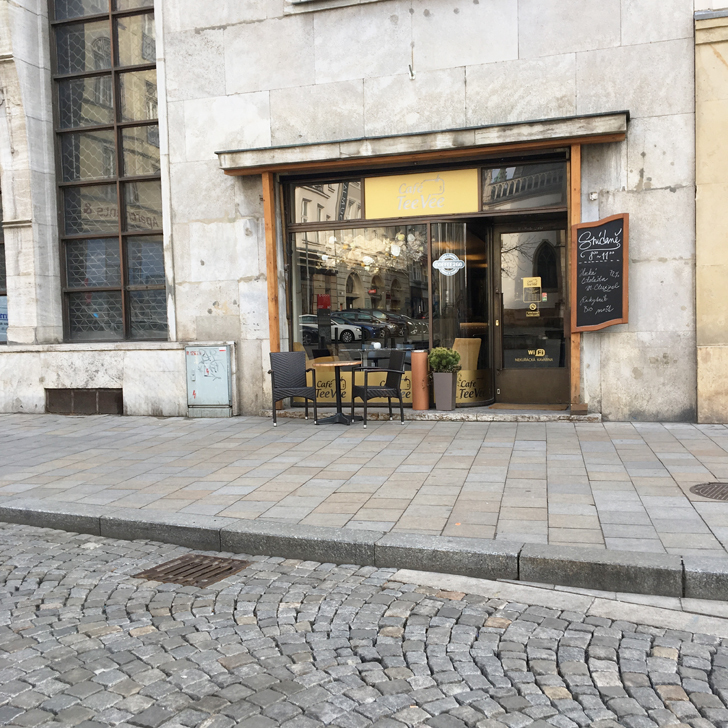 I have flown into Brno before and I’ve driven past it several times, but I haven’t actually been to the town centre before. So I was looking forward to it. Especially since I also have friends living there and took the opportunity to catch up with them (and shamelessly use them as a free tour guide). I was only there for one night, but still managed to see loads and walk for miles. 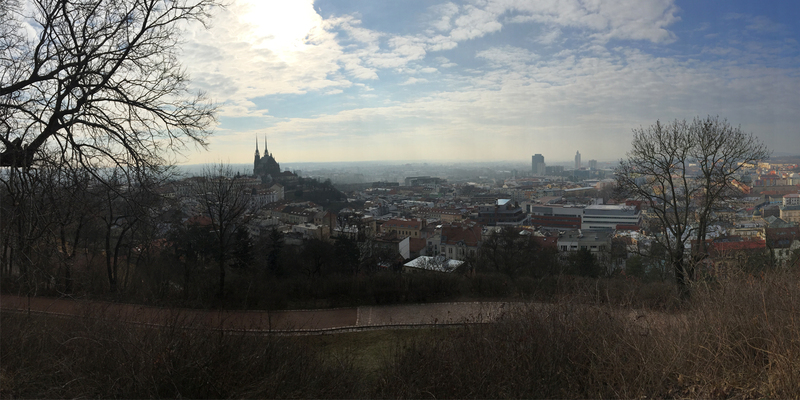 Compared to London, Brno is tiny. But with its around 400000 inhabitants it is the second largest city in Czech Republic (after Prague). It has an international airport, however flights are a little limited – one a day to London for example. But you can get there by train or bus from Prague or Vienna instead. 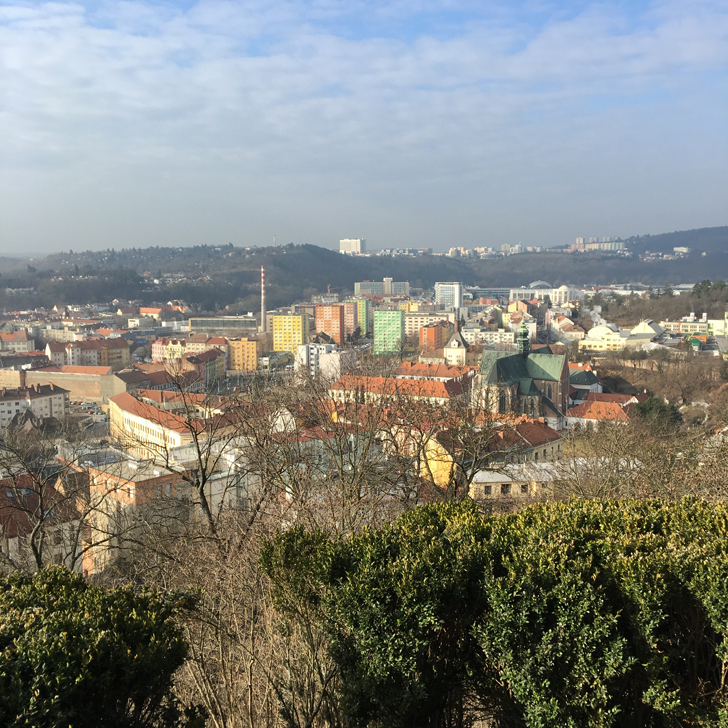 The only view of Brno I had during previous trips was a large selection of multi-coloured Plattenbauten along the motorway. And whilst these were kind of pretty in their own way (well pretty might be too strong a word, but certainly a landmark and reminder of the past, plus the colourful facades make a nice photo op – though I totally failed at that, since the only glimpse I could catch this time was all the way from the castle, which was just too far to take a decent shot with my phone) they don’t really do Brno justice. As the town centre holds some picturesque old buildings plus newer examples of architecture dotted around. Along with loads of restaurant, coffee places and market squares. If it weren’t still winter (although nowhere near as cold as it was a week or two earlier) it would have even better, as sitting outside certainly wasn’t an option. 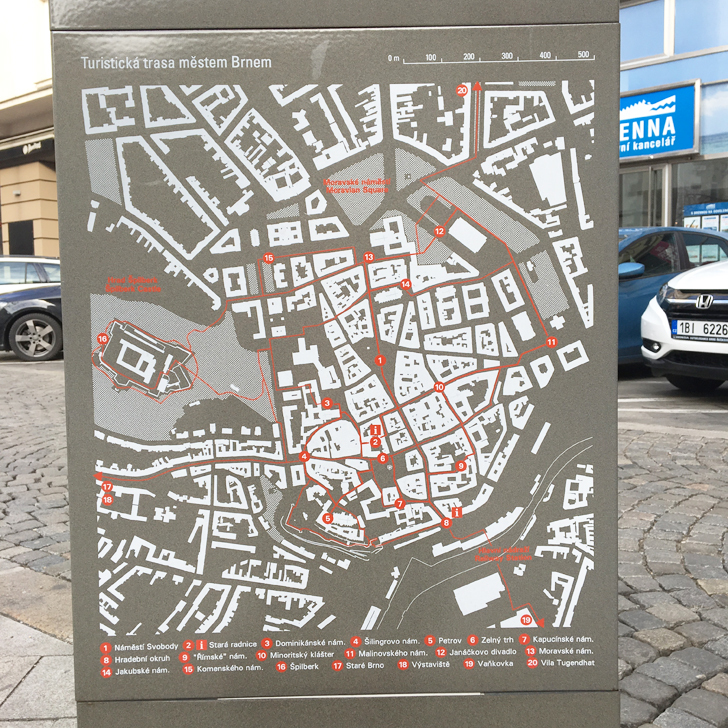 If you are in Brno for the first time, you can follow the trail that leads you past the various sites, ensuring you capture all things to see in Brno. I have not done it in full, so not quite sure how long it really is or how long it would take you, but I came across the signs a couple of times (and eventually used it to navigate towards the castle). 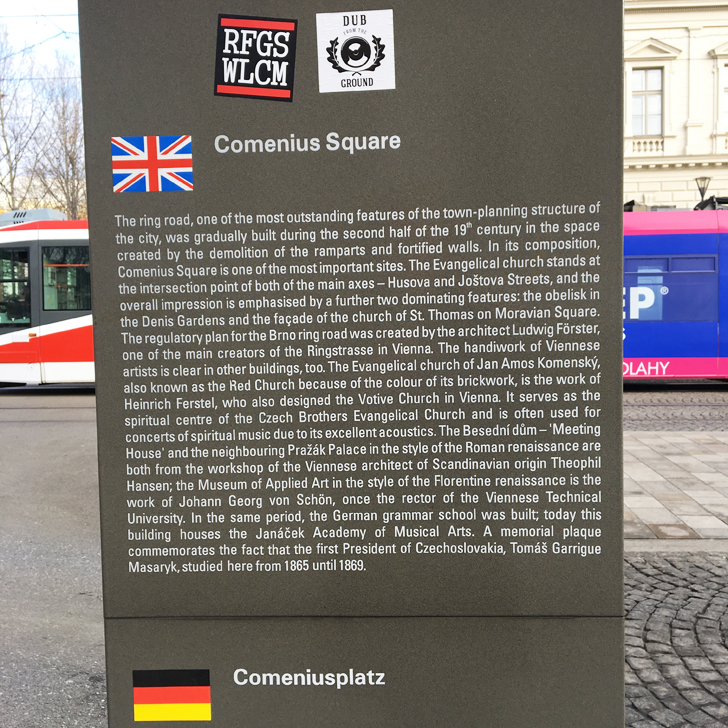 It also gives you a brief summary about the building / site in front of you (and not just in Czech, but also in English and German, very handy). 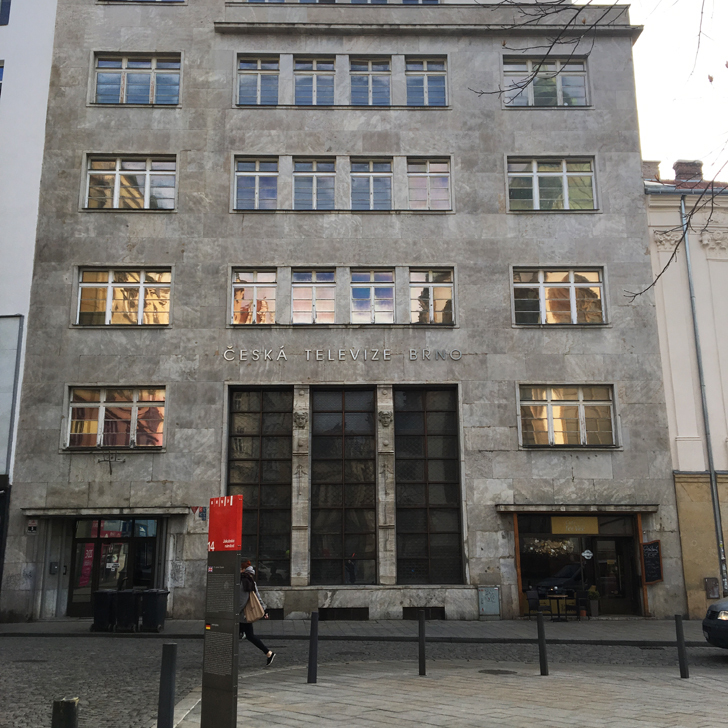 For starters Brno has a world heritage site, the ‘Villa Tugendhat’ built by Ludwig Mies van der Rohe in 1929, refurbished and restored in 2012. 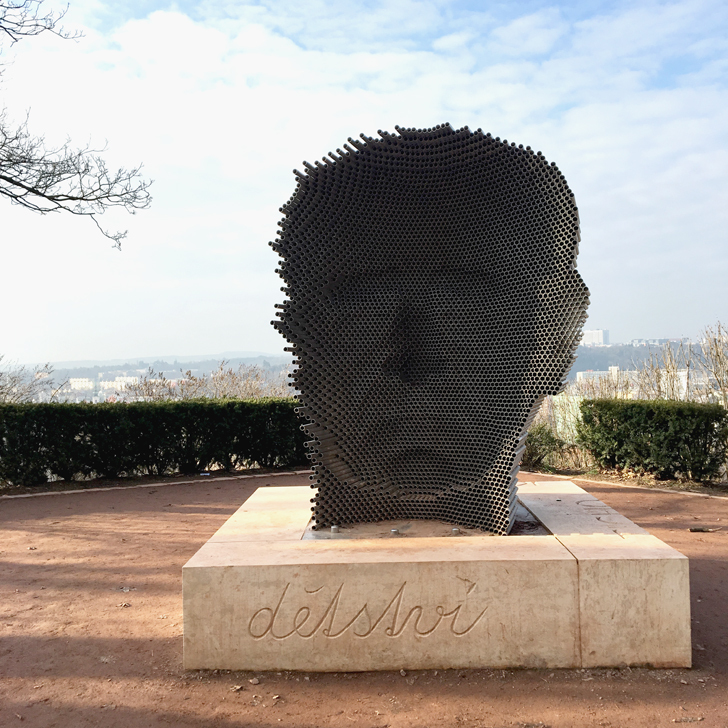 Unfortunately I did not manage to go and visit, but if you have a little more time on your hands do go and check it out. And should I make it back to Brno, I promise I will go and check it out myself. 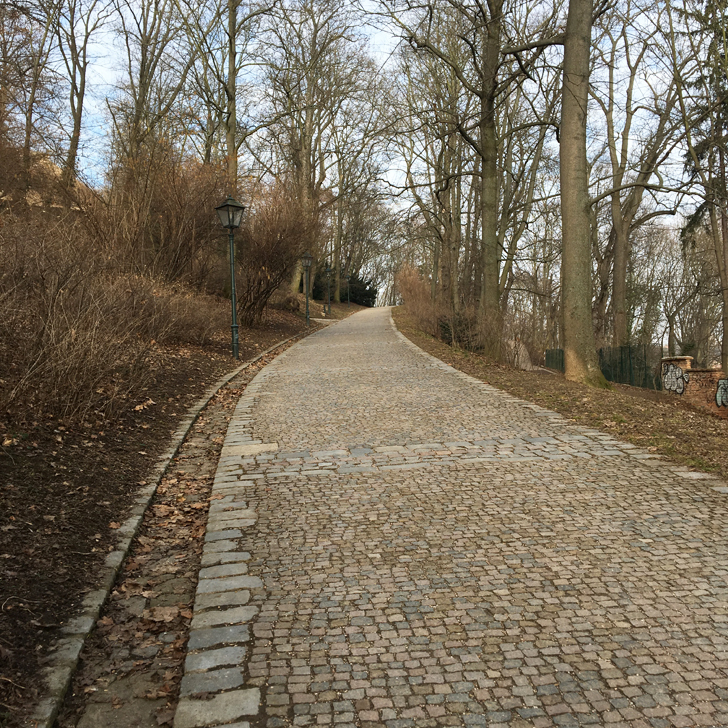 Climb up to Špilberk Castle and enjoy the surrounding Špilberk Park. The actual castle was closed for refurbishment when I visited last week (which I only found out once I was up there), so I can’t tell you if it worth a visit or not. But you are elevated above town and get a stunning view of the whole city and the Cathedral. 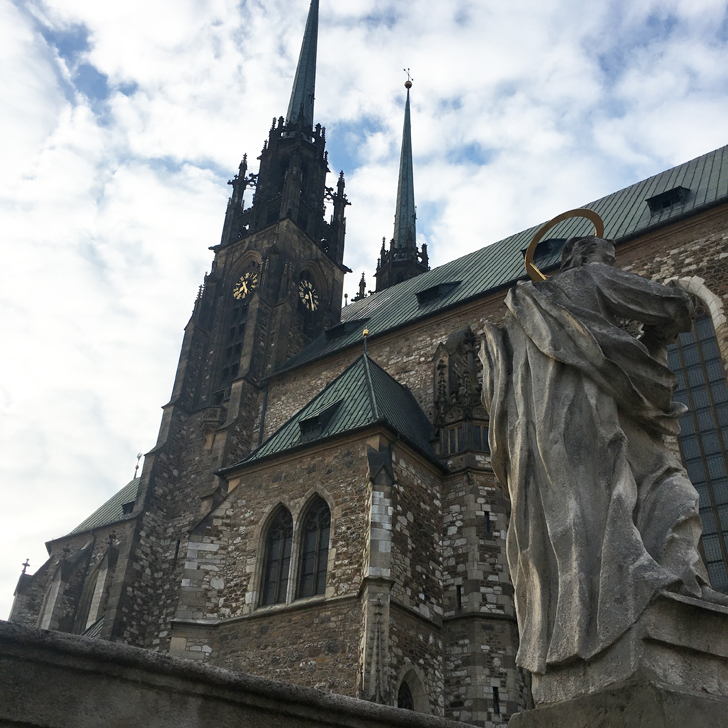 Visit the Cathedral of St. Peter and Paul, which stands rather proud over Brno on top of Petrov hill. The first church built at that site was back in the 12th century, however very little of that remains today. It was re-built a couple of times throughout the centuries and its main characteristics, the two large towers, were only added recently (as in beginning of the 20th century). Although I wasn’t around to actually witness it for myself, I was told that the midday ring of St. Peter and Paul chimes at 11, rather than noon. 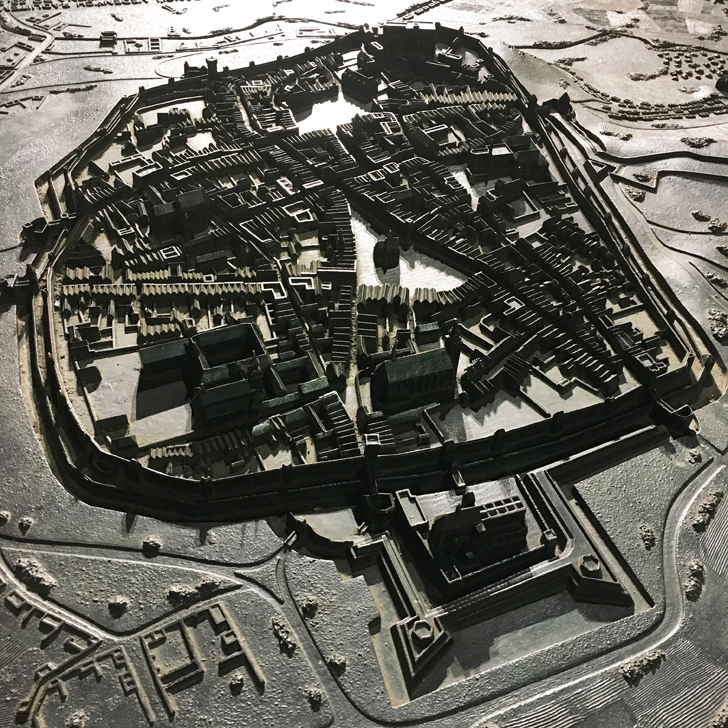 Legend has it this is due to the Thirty Year War when the Swedes unsuccessfully tried to conquer Brno and promised to abandon the mission by noon the next day. Just to help them along, Brno decided to chime the bell an hour early. See the astronomical clock (which isn’t really an astronomical clock but just an ordinary one, sorry for spoiling it) situated on the main square ‘Námestí Svobody’ (Liberty Square). Due to its shape it was duped certain nicknames by the locals (even without repeating, I’m sure you can guess just by looking at it). 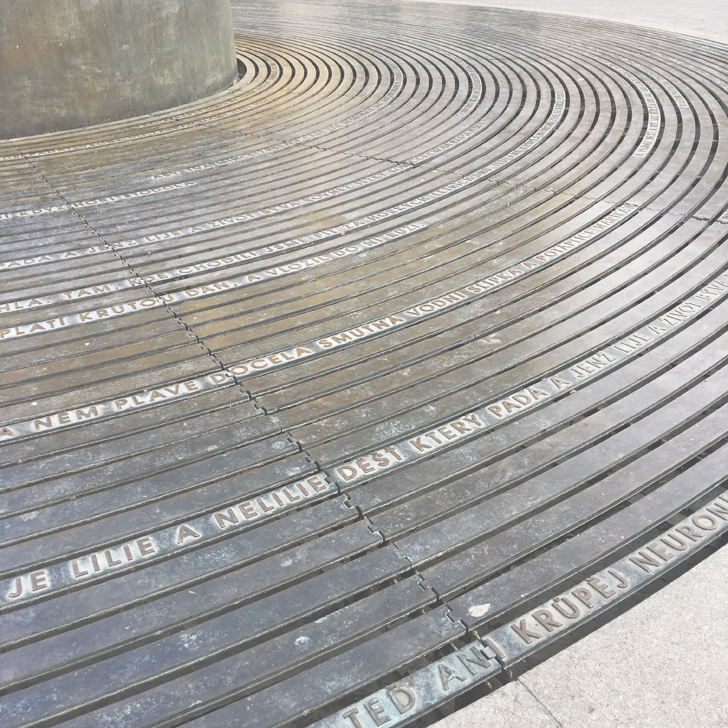 And whilst you are there, also have a look at the circular fountain, not far from it. 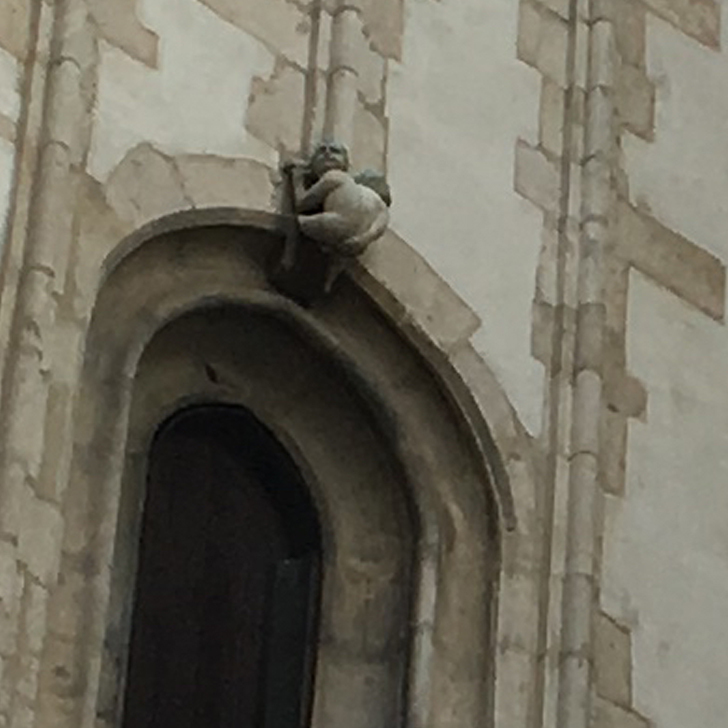 When coming across the rather pretty late gothic Saint James’ Church, my friend pointed out a little masonry detail above one of the windows – Nehanba (meaning ‘No Shame’), a little man showing his bottom towards parliament. I was told this was some kind of pay back by the sponsor for parliament refusing to contribute towards building said church. Go and see if you can spot it (and if you manage to get a better shot of it, unfortunately I only had my phone with me and couldn’t zoom in enough for a close up). 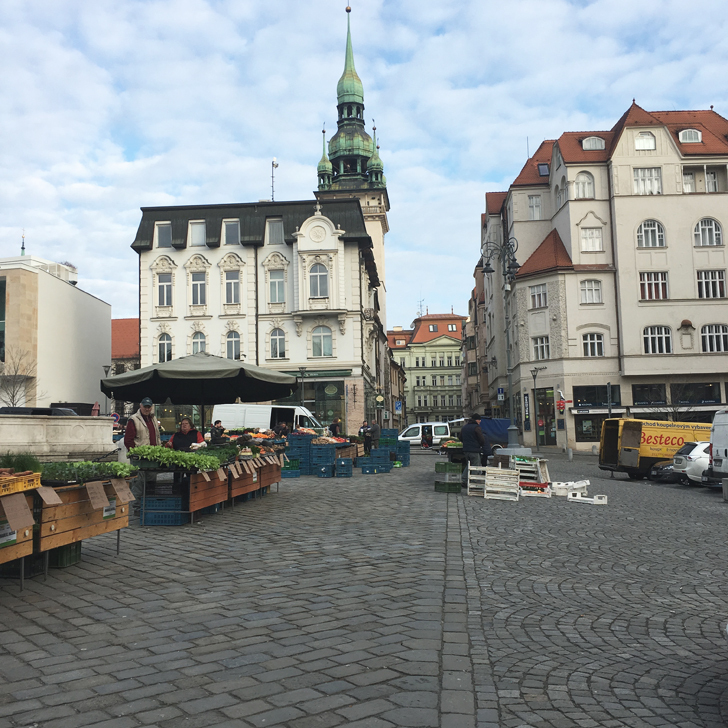 Visit the Vegetable Market Square with the theatre (apparently the oldest one in Europe), the Moravian Museum and the Parnas Fountain. 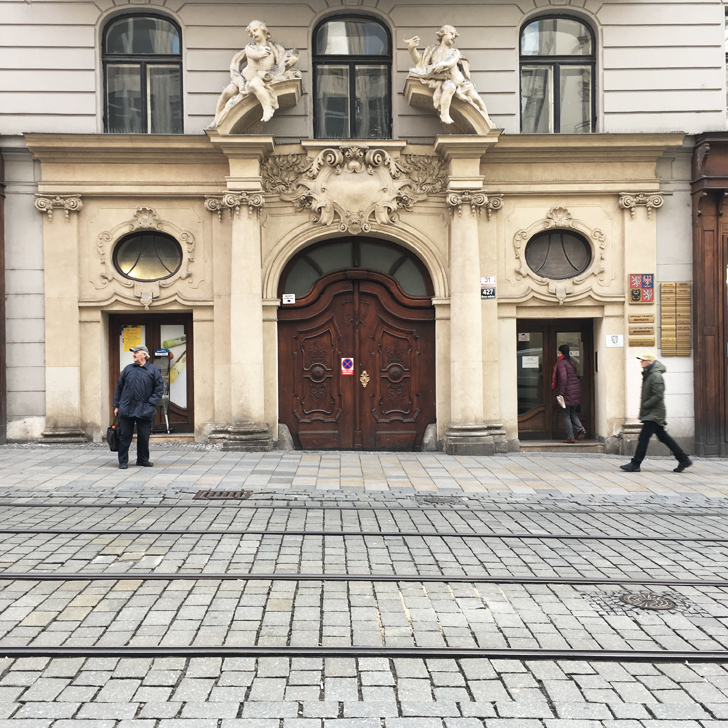 The Old Town Hall is just off the Square, go and see the Brno dragon there, one of the symbols of Brno (spoiler alert, the dragon turns out to be a crocodile though). There’s a labyrinth of old cellars underneath the Vegetable Market, which were originally used for food storage and beer brewing. 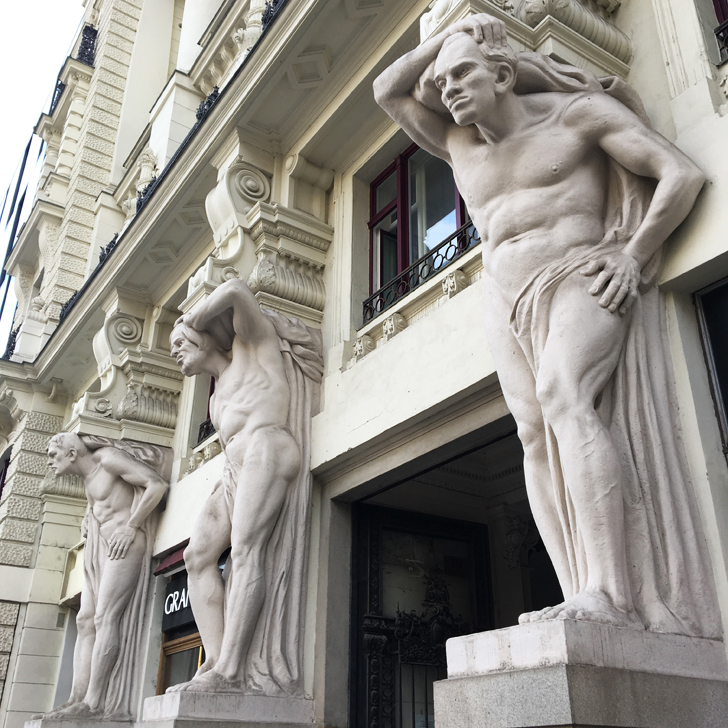 These have recently been opened to the public, so it might be worth to check them out. 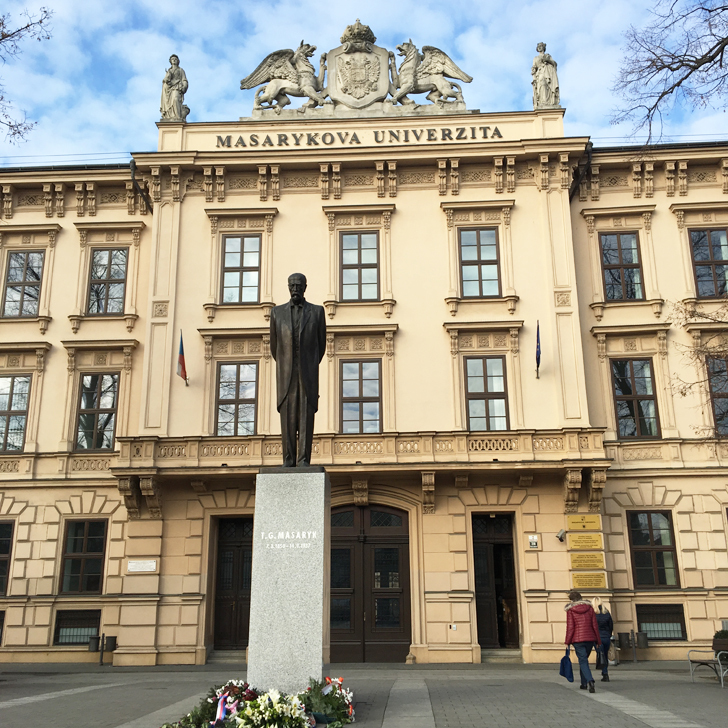 Yep you guessed it… another one on that list of things to do and see in Brno next time I am back. Generally it seems a lot of things happen in the basement / underground here. 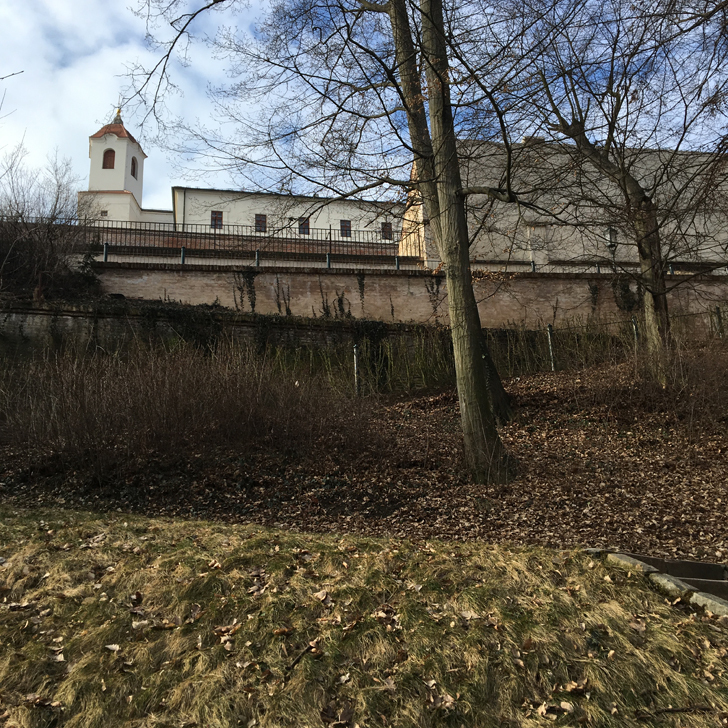 Lots of restaurants and pubs are in the basement, there is even a bunker museum underneath Špilberk Park. 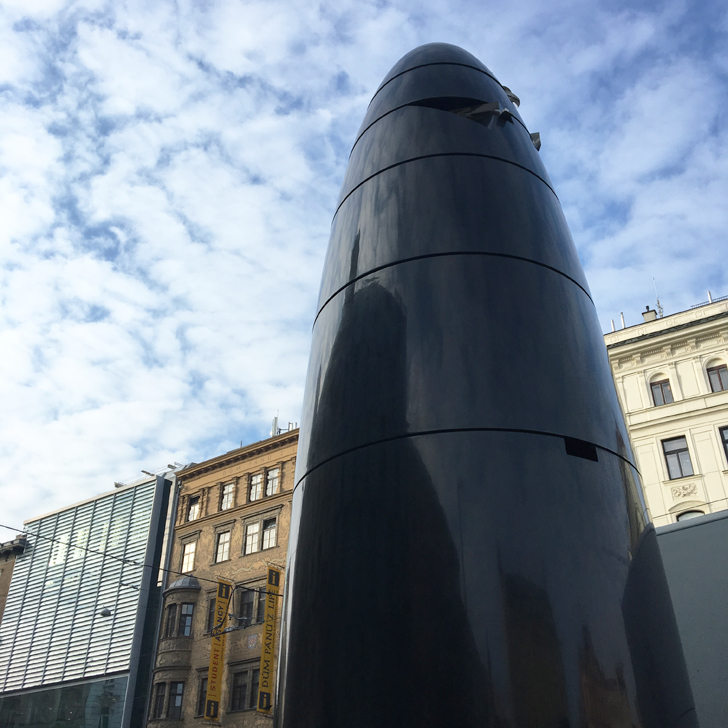 Amongst all the old buildings, Brno is also home to the tallest building in Czech Republic, the AZ tower, completed in 2013 and measuring 111m (compared to the 310m of the Shard in London it doesn’t seem quite as high though). With its angled façade, it does have quite a distinctive look (and reminds me a little of the Dancing House in Prague). 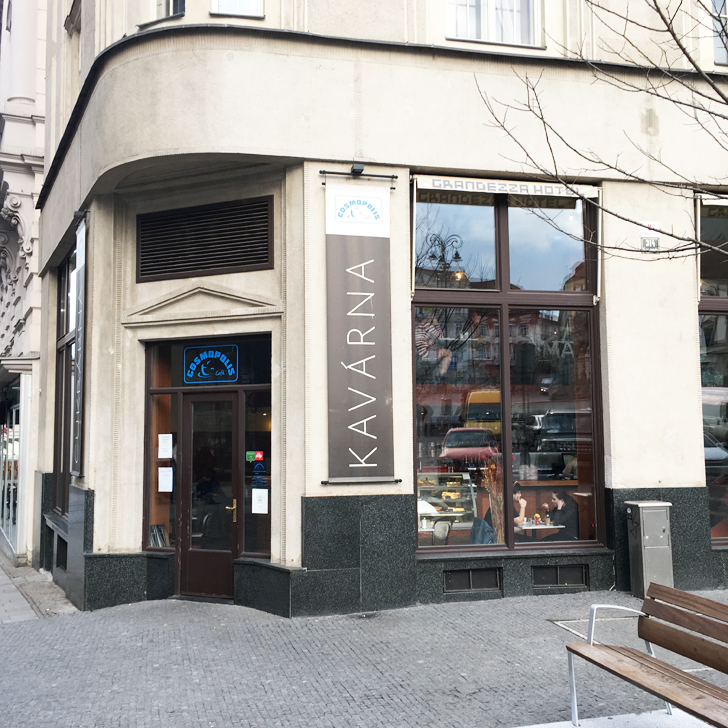 If all this exploring makes you hungry, go and try Czech Food and local beer. 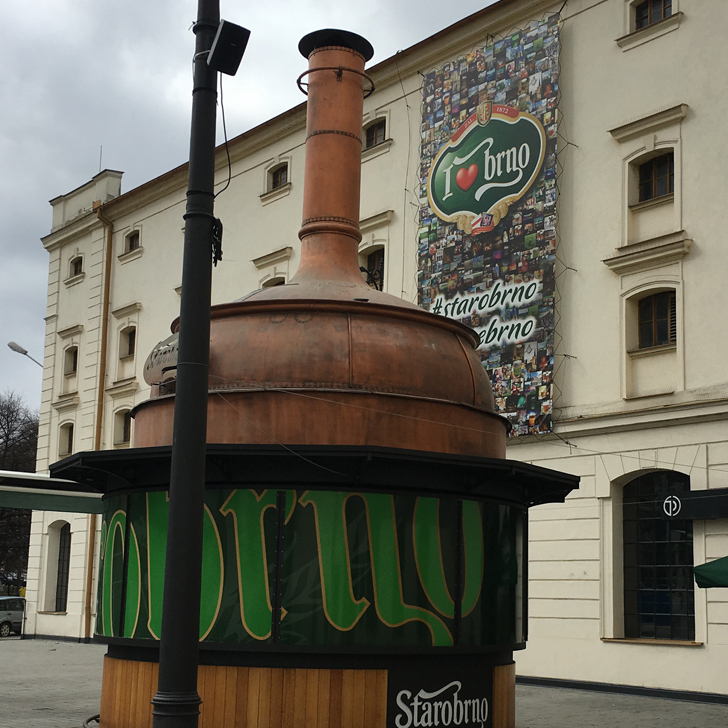 Brno has its own brewery in town, Starobrno. 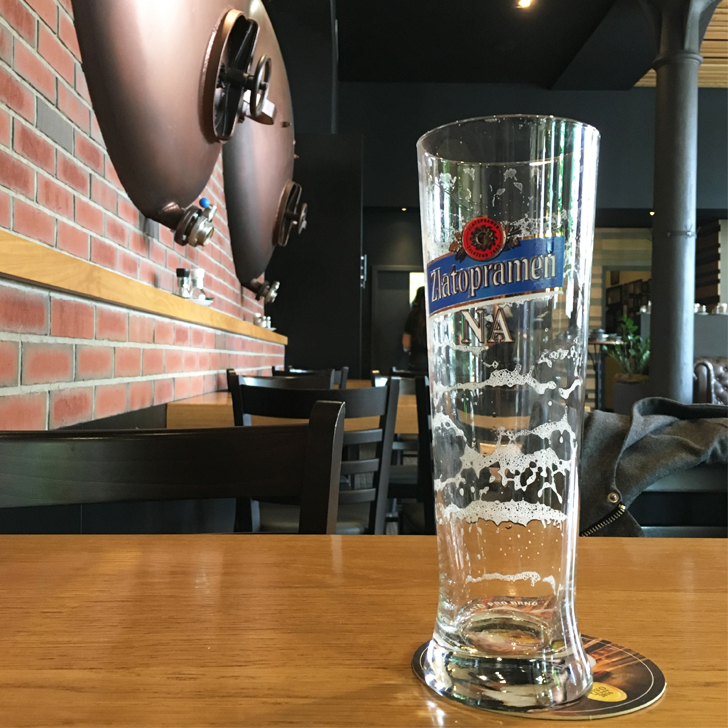 I don’t actually drink beer (yes I know, being both German and English, this will probably get me dishonoured by both nations and it gets me some very puzzled looks every time I mention it), so I haven’t tried the beer myself, but was told it is quite pleasant, so go and try. Worth a shot I’d say. Lucky me, the brewery came with a decent restaurant, where we went for lunch. Whilst I was far too hungry to actually take photos of my food before wolfing it down (what a bad bad blogger am I), just believe me when I said it tasted good. 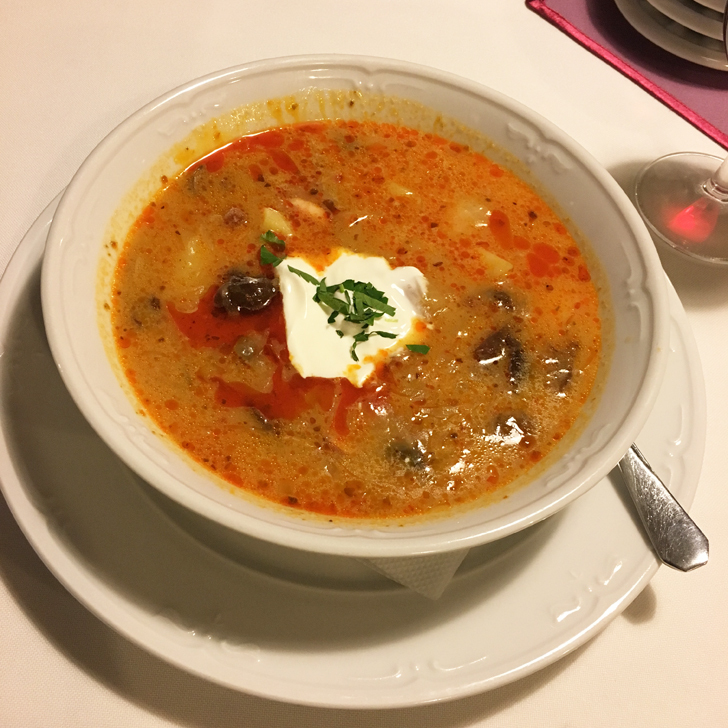 Czech food isn’t necessarily known for being light and healthy, but it certainly is hearty and yum. 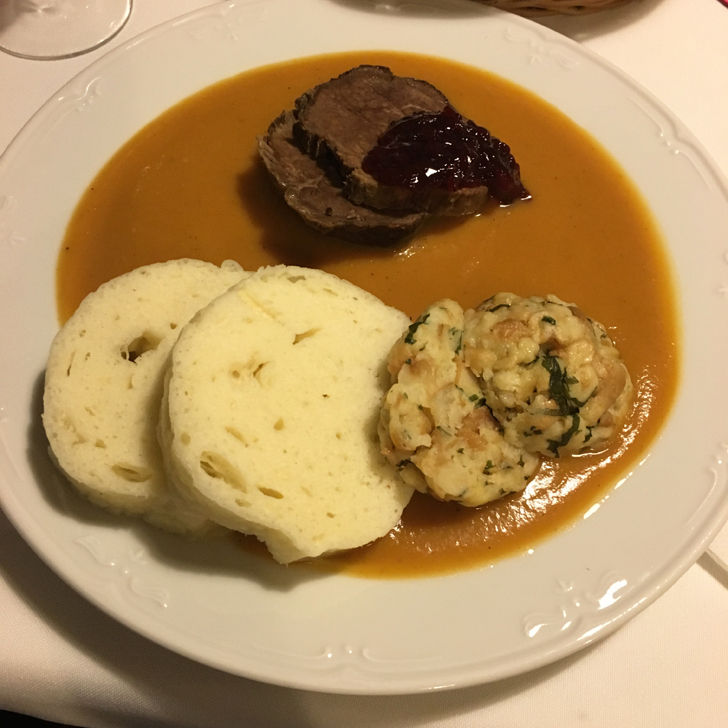 Just for good measures, I had more traditionally Czech food that evening (and this time managed to take photos of it for you all to see). Try some local delicacies such as Goulash (which is a little different to the Hungarian variety, as the Czech one uses beer in the sauce), Moravian Kulajda (Sour Soup, which I never heard of before, but can really recommend), Hermelín cheese (the Czech version of a camembert of sorts, served slightly pickled with onions and peppers), Svíčková na smetane (beef sirloin with bread dumplings, cranberries and cream sauce) and obviously sausages. I also tried some Czech red wine (unlike beer I do like wine), but it was a little too sweet and light for my taste. 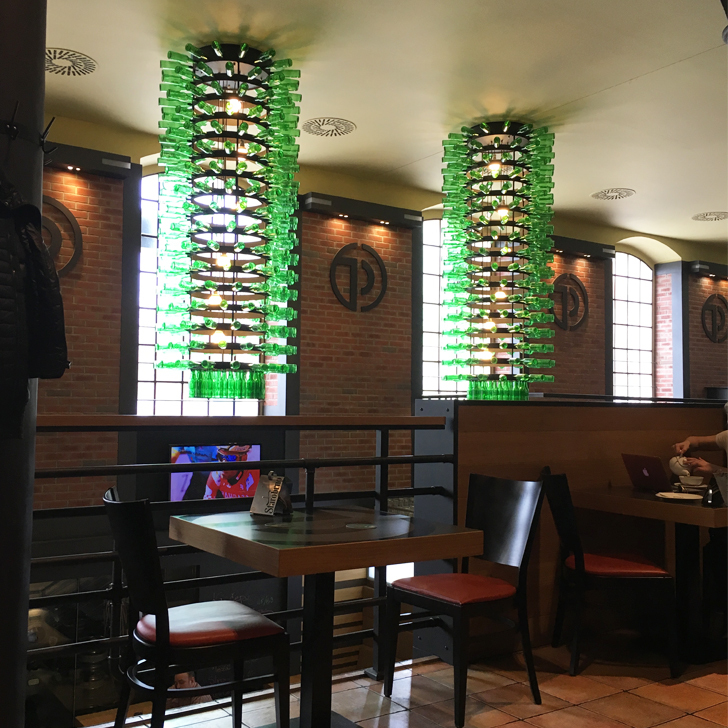 But to be fair, I’ve only tried one and haven’t (yet) done any extensive research here, so won’t moan about Czech wine just yet. 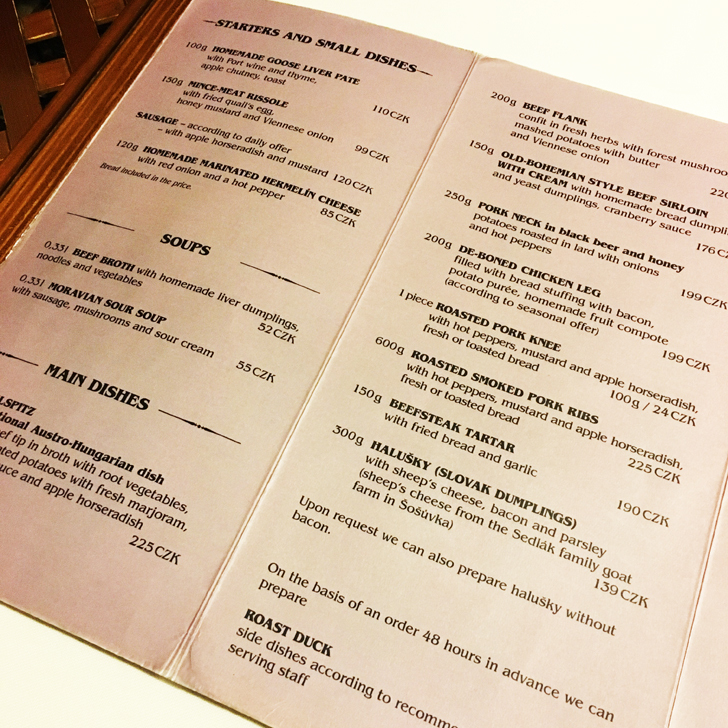 Being used to London prices it amazed me how cheap food and drink was in Brno. Between the three of us the bill came up to just around 30GBP and that was including a starter and mains each plus drinks. I can think of several places in London (or Switzerland and Norway for that matter) where you pay a lot more each for the same amount of food and drink. 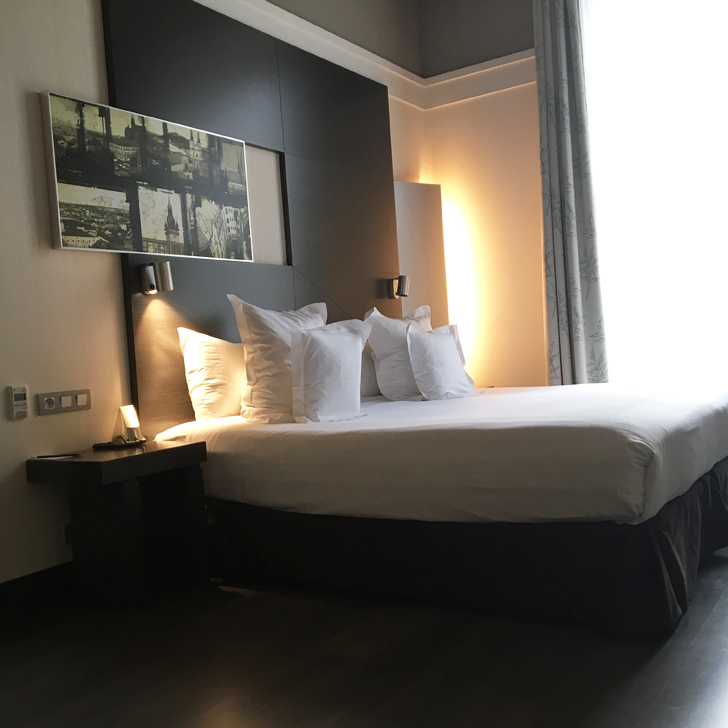 So now that I’ve shared all those places to see in Brno, let me also share with you the hotel I stayed in, the Barcelo Palace Hotel. 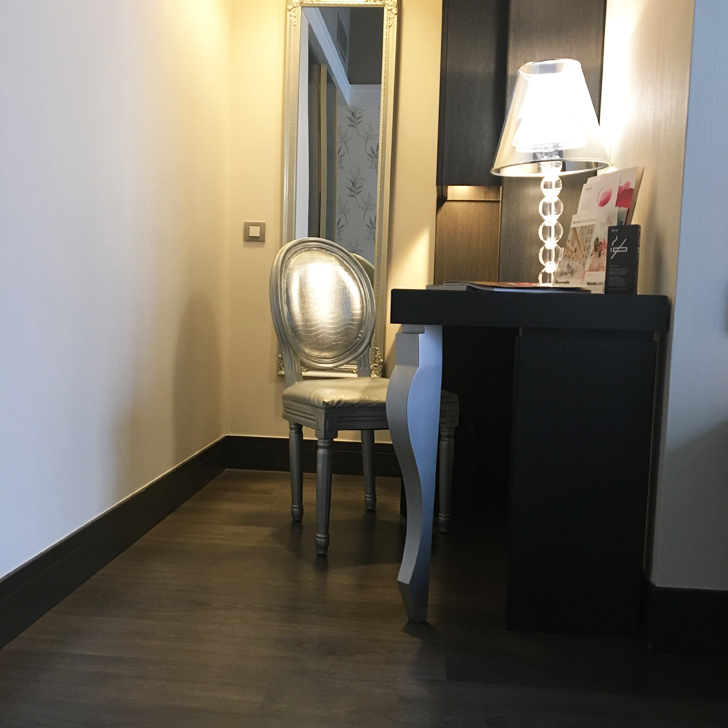 I was told it is one of the finest in town and my friend recommended it for being very central and convenient. And I must say, it certainly did not disappoint (but then I wouldn’t expect a 5 star hotel to disappoint). 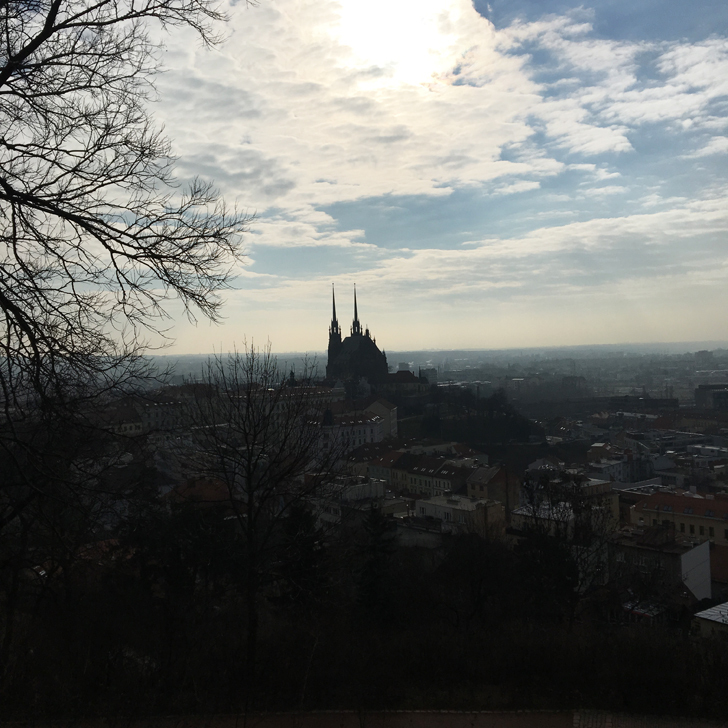 Tell me, have you been to Brno before? * Just to make this absolutely clear. This is not a sponsored post, just me sharing my own opinion and recommendations. British Food – Much better than its reputation40 before 40?